so in this cases code B95.62, Methicillin resistant Staphylococcus aureus infection as the cause of diseases classified elsewhere for the MRSA infection. UTI due to MRSA how to code? Colonization or carrying : when MSSA or MSRA organism is present in the body without causing illness is known as colonization or carrier of MSSA or MRSA. When the positive MRSA colonization documentation is given by provider such as“ MRSA screen positive” or “MRSA nasal swab positive”. code Z22.322, Carrier or suspected carrier of Methicillin resistant Staphylococcus aureus, for patients documented as having MRSA colonization. code Z22.321, Carrier or suspected carrier of Methicillin susceptible Staphylococcus aureus, for patient documented as having MSSA colonization. When patient is having both MRSA colonization and infection developed during admission code both infection and MRSA colonization. Ex: sepsis and MRSA colonization. When provider documentation is given as conformed zika virus then code A92.5 code . Z20.828, Contact with and (suspected) exposure to other viral communicable diseases. 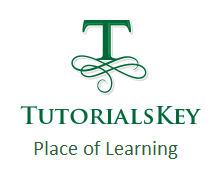 NEXT POST Next post: Manual Testing for Beginners Advanced SDLC Models.